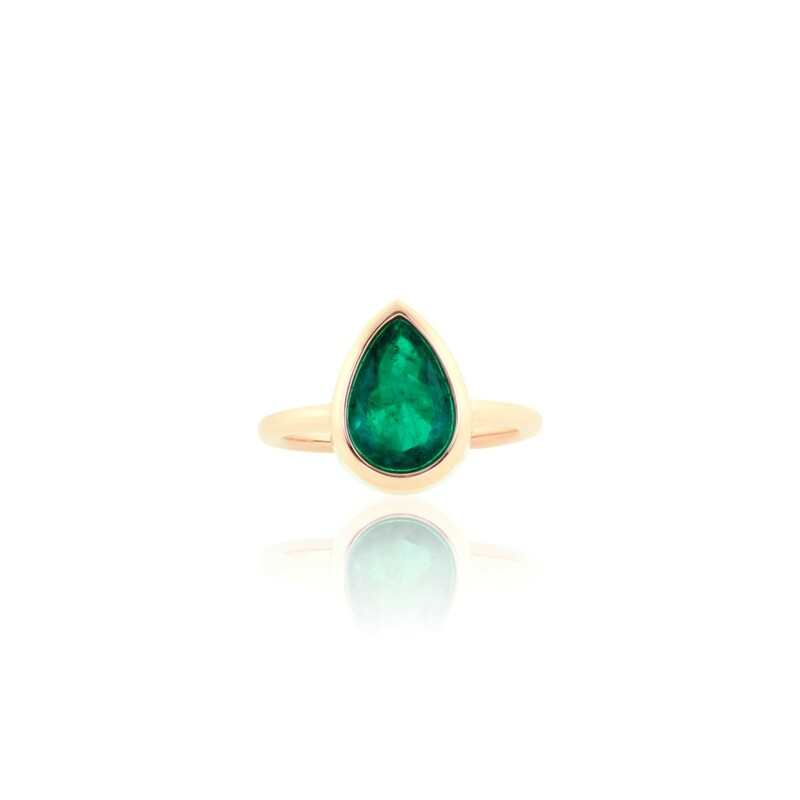 This bezel-set ring features a stunning 2.85 carat natural Colombian emerald. 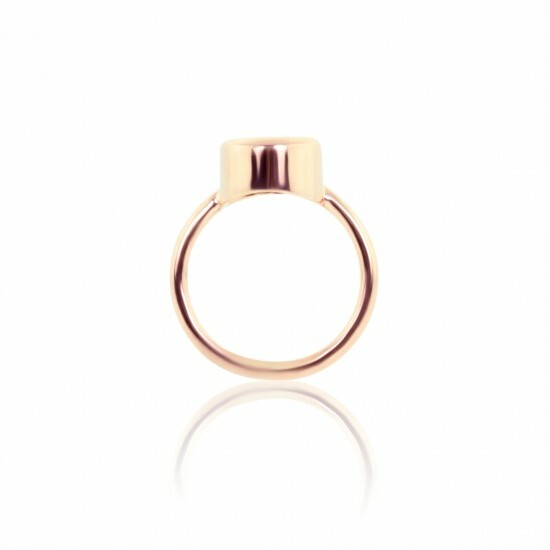 The pear-shaped emerald is set in 18K pink gold, lending the ring a decidedly feminine and refined look. 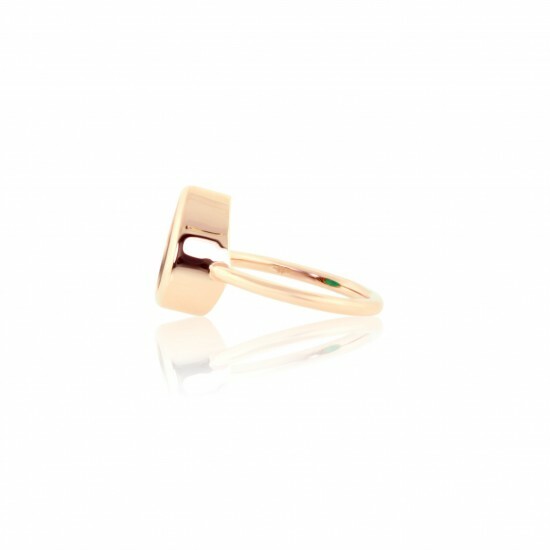 The pink gold of the ring and deep green of the emerald make a striking contrast. 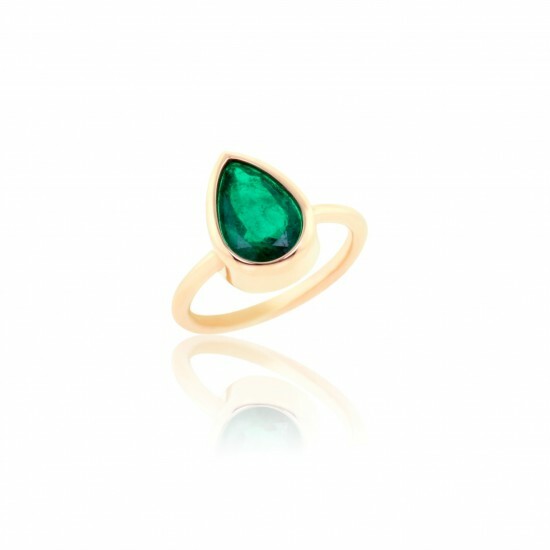 The ring's bezel setting ensures that your emerald will not be easily scratched, damaged or prone to fall out. Gold weight: 4.84 grams.